I’ve been having a tidy up and a clear out just to see how much yarn I have and searching for unfinished items. I opened a bag and found a ball of cream DK yarn and a ball of multicoloured yarn. 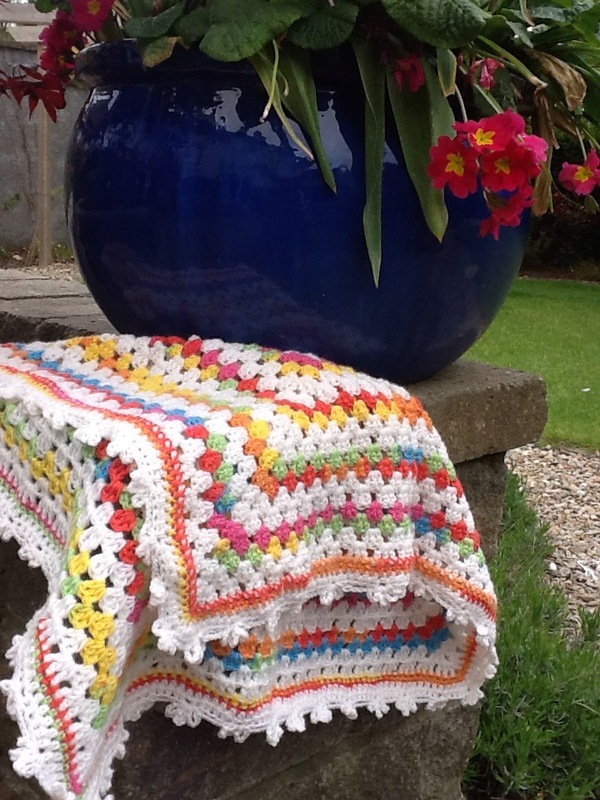 As it was Friday and good weather predicted I launched into a baby blanket project so I enjoyed many pleasant hours of crochet and chat in our garden over the weekend. 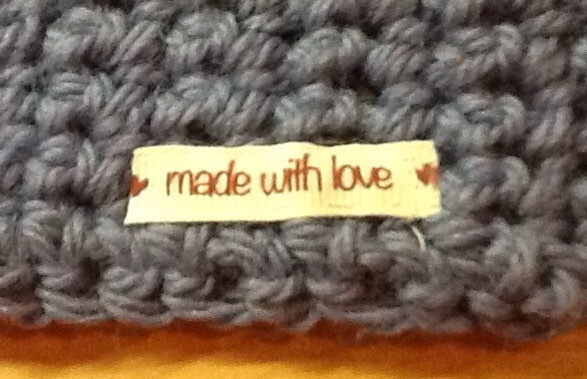 Once I reached the end of the yarn my work was done and Sunday evening was spent sewing in the ends. I used my trusty 3.5mm ergonomic hook, two balls of yarn, granny square pattern changing yarn every two rows, and finishing with a border of four rows of double crochet and a row of picot. I’m delighted with this project. 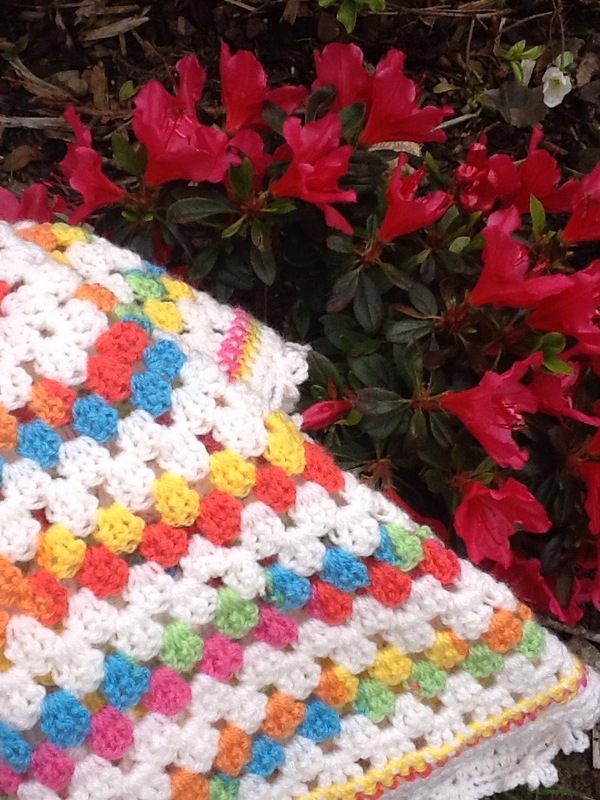 This entry was posted in crochet and tagged baby blanket, double knitting, ergonomic hook, granny square, multicoloured yarn, picot, summer, sunshine, weekend project. Bookmark the permalink.